Dr. Kevin D’Angelo is committed to the utmost care in providing esthetic, implant and reconstructive dentistry to enhance esthetic results and correct functional deficiencies. It’s no wonder that many of his patients have been relying on him for all their oral health needs for over 30 years. 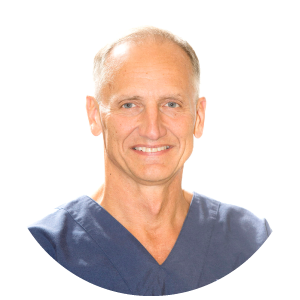 Dr. Kevin offers his patients such procedures as insertion of dental implants and mini implants, wisdom teeth extraction, periodontal surgery, and crowns, as well as general dentistry. A graduate of SUNY at Geneseo and the University at Buffalo School of Dental Medicine, Dr. Kevin continues to keep up to date on the newest techniques and materials as a member of local and national dental and implant study clubs. He is also a member of the American Dental Association, Academy of General Dentistry, and Flying Dental Association, where he serves as mission chairman. He has amassed hundreds of hours of continuing education and shares his knowledge with his peers and dental students through his work as an adjunct professor at UB School of Dental Medicine. Dr. Kevin is known not only for his unparalleled dental reputation, but for his skills as a pilot as well. He organizes and leads dental missions in our community, the US, and third world countries, often flying to these areas with a plane full of supplies for the needy area. He is active in Wings Flights of Hope, an organization for pilots who provide free transportation to those in need of medical treatment who would not otherwise be able to afford to travel to receive it. Besides flying, Dr. Kevin’s interests include hiking, skiing and scuba. He is also a triathlete, competing in triathlons throughout New York State.